This product was added to our database on Monday 20 October 2014. 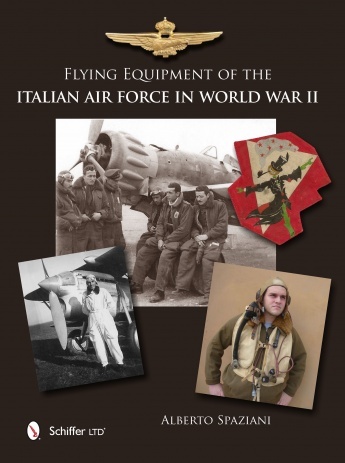 This book is a highly detailed look at World War II era Italian flight gear. Much of the information appears here for the first time in English. Covering flight suits, flight helmets, goggles, parachutes, life vests, oxygen masks, boots, gloves, and more, in over 600 images, offering full coverage of this long overlooked topic. Color photography shows full views of actual period clothing and equipment, as well as close-up details of manufacturers’ marks and labels, zippers, buttons and snaps, and insignia. War era images, including rare period color, show Italian aircrews wearing a variety of Italian and German flight gear.